Ann’s interest in consultancy and training began at Alexander Harris where she developed a highly-successful programme for the firm’s young professional staff. The programme encouraged staff to develop their legal careers within Alexander Harris, enabling the firm to achieve a high level of organic growth and reduce staff turnover. In particular, Ann enjoyed helping her younger partners to perform effectively when being interviewed on TV and radio, giving them the benefit of her considerable experience of the media. It was her growing involvement and satisfaction in these activities that was to eventually lure Ann away from full-time legal practice and into the fields of business consultancy and training. By 2006, Ann was being increasingly approached by professionals within the legal marketplace. Impressed by the outstanding growth and success of Alexander Harris, they wanted Ann’s expert advice to help them develop their own businesses. It was partly in response to these approaches that Ann decided to establish her own business consultancy. She now operates as a freelance consultant from her base in Hale, Cheshire. Ann provides advice on all aspects of business development to professional service firms and businesses. In May 2007, Ann set up Alexander Macdonald LLP with Alistair Macdonald, an award-winning former TV presenter. The company delivers training to a wide range of business types across the UK and internationally. Alexander Macdonald teaches firms how to develop their business through better communication and effective interaction with the media. Their clients benefit hugely by learning from the wealth of experience that both Ann and Alastair possess in these areas. Whilst at Alexander Harris, Ann’s media strategy revolved around publicising her own cases in the media. By becoming an informed observer and commentator on other newsworthy cases and issues, Ann built an enviable reputation both for herself and for the firm. Increasingly sought after by TV, radio and press, every appearance brought in new business for Alexander Harris. Ann’s top tips of always returning journalists’ phone calls and always making quotable quotes have resulted in her being described as the ‘fourth most quoted solicitor’ in a 2005 Sweet and Maxwell survey. Ann is also an established documentary maker and broadcaster. Ann’s business partner, Alistair Macdonald, has owned and run a media training company and consultancy since 1989. He has taught directors, partners and senior managers from more than 20 countries and 5 continents how to be better communicators. Before turning his hand to consultancy, Alastair interviewed thousands of people for TV programmes aired on the BBC, ITV and Channel 4. He ended his broadcasting career as one of the BBC’s elite corps of correspondents. Alexander Macdonald shows their clients how to use the media to develop their business by making use of free editorial space. Positive appearances in the press and on the TV and radio will put a business in front of literally millions of potential clients, whilst building trust and credibility at the same time. Alexander Macdonald works with companies to train their staff to be better business developers and to keep ahead of the competition. Alexander Macdonald’s media training courses teach directors and senior managers how to prepare and practice for a radio or TV interview. The courses are flexible in both length and content and are tailored to the client’s specific media requirements. Areas covered include detailed interview scenarios, the developing and communicating of key messages and the sharing of insider knowledge about the kind of news and stories that journalists need to hear. A vital part of any business’s disaster recovery plan is the correct handling of the media. Alexander Macdonald’s crisis management courses help businesses to prevent a potential crisis from becoming a disaster by, where possible, turning it into a business opportunity. The courses show how a crisis that is swiftly, efficiently and openly resolved is likely to generate positive news stories. Senior managers are taught how to handle journalists, approach a press conference and write news releases in a way that ensures the deflection of negative stories. 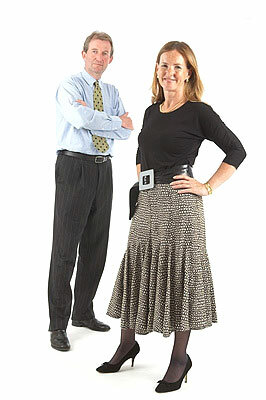 Ann and Alistair have delivered hundreds of presentations and speeches to large audiences throughout the UK and Europe. They bring their skills and experience to their courses, teaching delegates to write, prepare and practise their presentation so that they can win over their audience without falling victim to nerves. A specialist area is training presentation teams who are bidding for government contracts. Alexander Macdonald trains directors, partners, managers and key staff to be confident and successful networkers. Courses cover the principles of good networking and shows delegates how they can increase their own skills in this essential area by learning to ‘work the room’, ask the right questions, effectively cross-sell and follow up on contacts made. These courses show individuals how to actively promote goods or services to their customers that can be provided by their colleagues. It is often combined with business network training. Alexander Macdonald demonstrates how individuals can promote the wider interests of their business by learning more about their colleagues and in turn, educating them about their own work and interests. Individuals can then use this knowledge to cross-sell. The courses also teach how to spot and act on cross-sell opportunities and how to identify a buying signal. News blogs and press information.